Remember when some crazed man kept cutting my internet? Yea. me too. Let’s hope we’re done with that. Remember when I fell asleep in the meditation component of body flow? OH WAIT…that’s every time. How about that time that I started dreaming that I was eating, and brought my hands to my mouth as if I was feeding myself….it was only when I opened my mouth that I realized I was an idiot and woke up. It was right before my internet died and I never got around to answering the questions associated with the award. 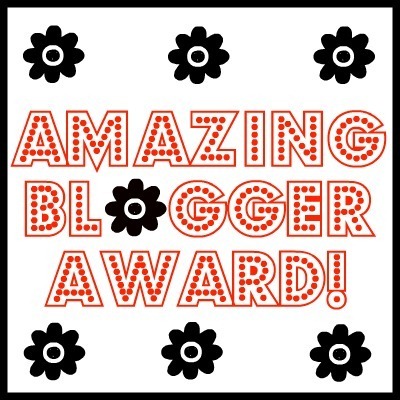 Then, low and behold, yesterday Dawn from BlondeonaMission tagged me with the same award. It just goes to show that when you start doubting yourself and thinking negatively about yourself and your abilities, that someone out there still thinks you are awesome. If you don’t already read these blogs I highly recommend you start. These are two of my must reads and I was over the moon, blushing my face off, absolutely honoured that these ladies read my blog let alone think it’s pretty cool. Fav cartoon character– Belle from beauty and beast probably. Favourite thing to photograph– People when they are doing embarrassing things….Mainly Mr PinkGiggles….I’ve got a pretty good collection…don’t know how he puts up with me sometimes. Favourite movie– I can pretty much watch mean girls all day long and never get bored. Favourite article of clothing- Dresses obviously. 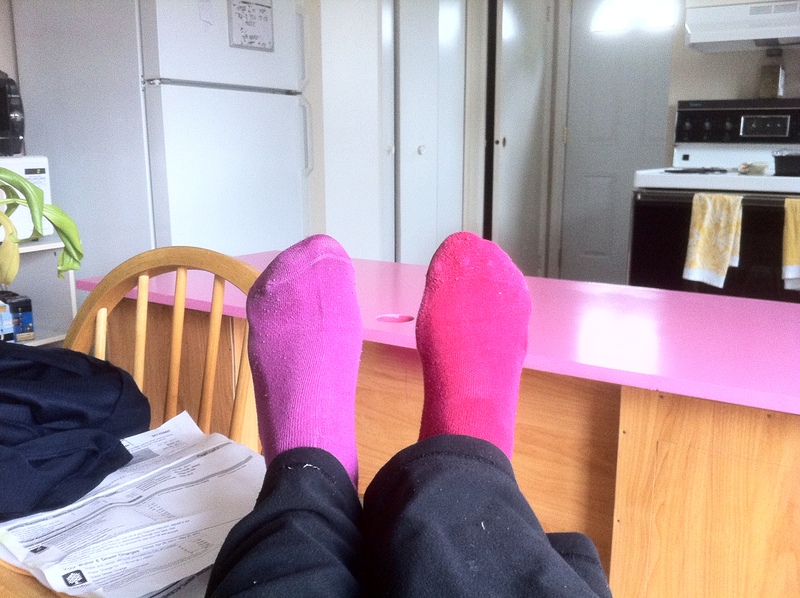 But working in a lab means I don’t wear them as much as I’d like too….sooo….I think I should say socks. Most people (ok all people) think I wear mismatched socks. To me, they are matching…just not in the traditional sense….. for example, stripes always match with stripes….socks from the same store are a match…athletic socks vs woollen socks…Today? Pink and Purple always go together. This drives my mother bananas. Whenever I am at her house she insists I wear identical socks because “my parents work hard and we can afford matching socks”…or something to that effect. Favourite flower- Depends on the occasion really. Favourite breakfast– Pancakes. I had pancakes every sunday for approximately 10 years. Often they were blueberry pancakes….and whenever they were my dear brother would surely ask my mom “do blueberries stain?”. I think he ruined all of his pjs this way. Mr PinkGiggles and I are off to see Blue Man Group tonight! I’ m super excited. I’ve been feeling ill for the last couple days but I pray I make it through the show without another massive headache. Cross your fingers for me loves! Three cheers for mismatched sock collections! GASP…….!!! This made my night! Thank you Meg!!! Enjoy blue man group! I saw Stomp a while back – is the show like that?! Aww your socks are too cute! And Goodnight Moon is a great book! Pingback: How much is too much? i never match my socks! the girls i nannyed for thought it was the best idea ever. favorite summertime drink? a milkshake! AHHH!!! I used to DIE for Goodnight Moon! 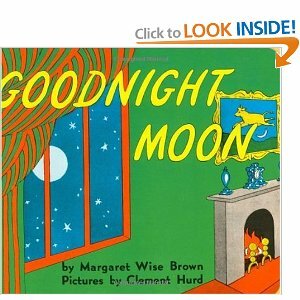 Goodnight Moon was my FAVORITE!! I loved it!